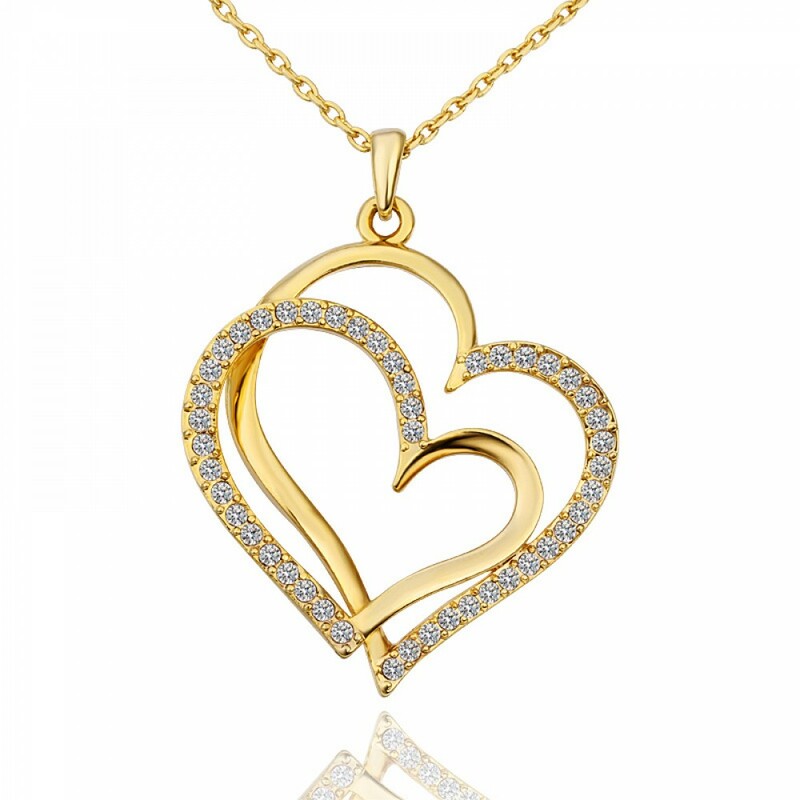 This twin heart yellow gold plated pendant, which measures 4cm width and 5cm in height, is sure to turn heads. 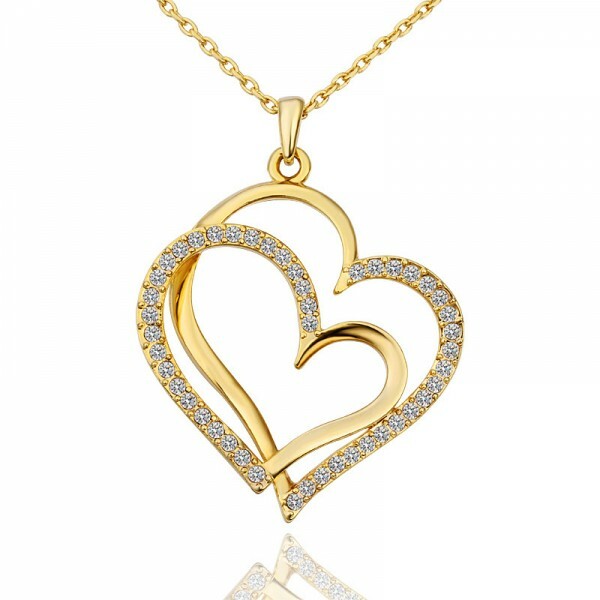 This stunning necklace compromises of 45 Czech element clear crystals and hangs from an 18-20 inch gold plated chain. Each necklace comes fully boxed.